What is responsible for the gender-based insurance gap is a matter for debate. Some speculate that women are drawn to jobs with better benefits, particularly once kids come along. That means some life insurance coverage may be provided through the workplace. In addition, while many couples calculate their insurance needs by assessing how much cash it would take to cover off each member’s earned income, they frequently neglect to account for the myriad of unpaid tasks that women have traditionally taken on in the home. The problem: stay-at-home or part-time working parents often assume they have no need for life insurance coverage because they’re not the one providing a valuable financial contribution to the household. Nothing could be further from the truth. Life insurance is intended to be a safety net for your family in case the unimaginable happens. But if you’re relying on workplace coverage to cushion the blow if something happens to you, consider that it may not be extensive. It’s wise to sit down and assess whether it would adequately cover your family’s needs if you weren’t around. And when you’re doing that calculation, don’t forget to try and assess the cost of all the unpaid work you do. 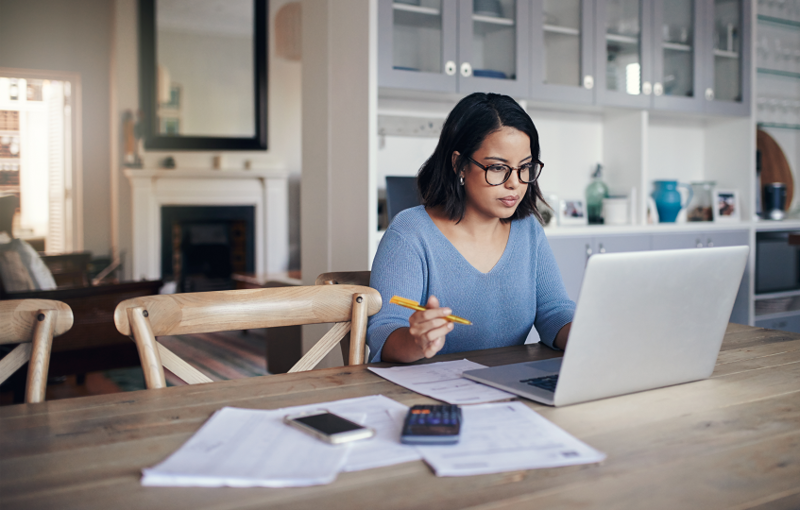 While many couples calculate their insurance needs by determining how much cash it would take to cover off earned income, they frequently neglect to account for unpaid contributions in the home. Let’s face it – household tasks and child care is work. It may not be filling your bank account or shooting you to the top of the corporate ladder, but it is valuable work nonetheless. And if you didn’t do it, someone else would have to be paid fairly for taking on the task. So think about it this way: if you had to pay someone to take over the cooking, child care, chauffeuring duties, cleaning and laundry services you perform as a stay-at-home, working or part-time working parent, how much would it cost? To effectively assess your insurance needs, it’s crucial to recognize your significant contribution to your family. Whether you work full-time or you’re a stay-at-home parent, you provide value to your household. Although no one will ever replace you, a life insurance policy can at least protect your family’s lifestyle and livelihood and provide a financial buffer that will help them weather a loss. What debts must be covered? Include mortgage and credit card debt, as well as personal loans. What is your average household budget? Tally expenses for food, rent, utilities, entertainment and children’s educational and extra-curricular activities. What income do you bring in to the household? Even if you’re not the main breadwinner in the family, your income may provide a much-needed boost to the household budget, allowing for little extras that contribute to the family’s comfort and financial stability. What would it cost to replace the necessary household and childcare services you provide? No one can replace a stay-at-home parent, but the pressures on your family would be intensified without help with child care and housework. Even if a family member stopped work temporarily to care for your kids, consider the cost of replacing that person’s income.